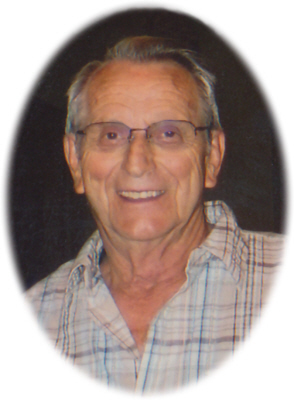 LaVern “Gus” Miller age 79, of Fowler, MI, passed away Friday, January 25, 2019, at Hospice House of Mid Michigan, Lansing, MI. A Mass of Christian Burial will be held at Most Holy Trinity Catholic Church, Fowler, MI, on Tuesday, January 29, 2019 at 10:30 A.M., with Rev. Fr. Doug Osborn officiating. Burial will take place at Most Holy Trinity Cemetery, Fowler, MI at a later date. Visitation will be held on Monday, January 28, 2019 from 2-8 P.M. with family present from 2-4 & 6-8 P.M. at Smith Family Funeral Homes - Goerge Chapel, Fowler, MI. Rosary will be prayed at 7:00 P.M. on Monday at the funeral home. Gus was born in St. Johns, MI on May 16, 1939, the son of Vernon and Leona (Schafer) Miller. He married Lynne Rahl on September 17, 1960 and they celebrated 58 years of marriage together. Gus owned and operated Miller's Barbershop in Fowler. He was a barber for 60 years. He also worked at Most Holy Trinity Catholic Church and school for 27 years in maintenance. He is survived by his wife Lynne Miller of Fowler, MI, sons: Todd (Sue) Miller of Eagle, MI; Eric Miller of Grand Rapids, MI; daughters: Amanda (Ed) Drown of Haslett, MI; Jennifer (Dan) Hufnagel of Fowler, MI. He is also survived by grandchildren: Danielle, Andy (Kelsea), and Jason Hufnagel; Scott (Stephanie), and Jeremy (Courtney) Miller; and 2 great granddaughters: Ava and Kylynne Hufnagel. He was preceded in death by his parents, father and mother in law, Merlyn "Dutch" and Genevieve Rahl, son Troy Miller, and brother Gary Miller. Memorials may be made to a Charity of the Donor's Choice. Online condolences can be sent to www.smithfamilyfuneralhomes.com. The family is being served by Smith Family Funeral Homes - Goerge Chapel, Fowler, MI.